Sometimes, to buy low and sell high, you need to sell low and buy high. ” If Canadians value their privacy, they must be willing to surrender personal information, submit to electronic body-scans at airports and prepare for other technological invasions to help security officials identify potential terrorist threats, United States Homeland Security Secretary Michael Chertoff said yesterday. As usual we air on CKCU 93.1fm from 7 to 9:30am. For those outside of Ottawa you can listen live on the web at the CKCU website. At 8:10 we will be having our own Ontario Election round table discussion. Representatives from all four major parties Carleton campus clubs will be joining us live on-air to discuss the big issues in the campaign so far and what they see as the defining issues in this election. More expensive to fix Landsdown than actually tear it down and replace it. Vancouver looking into opening co-op brothel. Arctic sea ice at lowest ever recorded levels. Loony hits parity with US dollar! Another lawsuit over light rail in Ottawa. We will be having two interviews on the show. At 8:15 we will be speaking with Wallace Beaton, who is on the steering commitee for the Westboro Community Association. We will be discussing the results of the Westborough Community Association AGM. Then at 8:35 we will be talking with Don Stewart from the Federation of Citizen’s Association regarding their Property Tax Working Group Report. The Danish cartoons row: Swedish style! Police still need a warrant to access internet user data. Conservatives are bringing the sponsorship program back. The X-Prize version two: Put a robot on the moon for 20 million. Nova Scotia to outlaw strikes by heath care workers in the province. Ottawa City vehicles to have “Support our Troops” decals on them. First Part Not the Same as the Last. Now, the first part of that sentence does not mean the same thing as the last part. 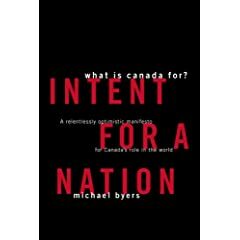 Moreover, the means that Ottawa is uniquely suited as a city where one level of government based here wants, at least officially, to remove politicians from appointments and contracts as much as possible, and another wants politicians more involved.